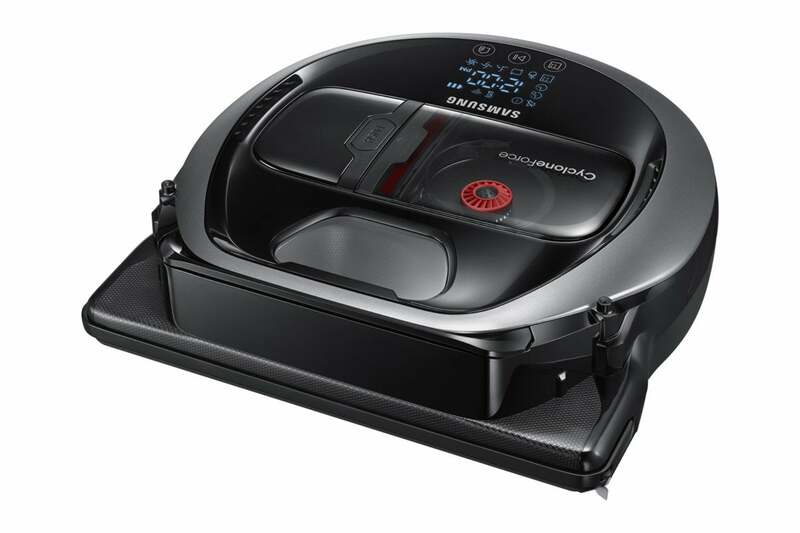 Samsung’s Powerbot R7065 is one of the few robot vacuums that actually looks like a robot. With its upward-facing camera eye, digital display, and humanoid head shape, it really gives you the sense you’re outsourcing your labor to an Asmiovian machine. And as household help goes, I found the R7065 to be one of the most hardworking and efficient robot vacs I’ve had the pleasure to employ. Before setting up this Powerbot, though, it’s worth consulting the voluminous user manual. You’ll save yourself the 20 minutes or so I spent fumbling around trying to charge it. After sitting in its dock for a while, the R7065’s display gave no indication it was getting any juice. I stubbornly tried to resettle it on its charging pins several times before cracking the instruction book to find there's a power switch recessed in the bottom of the Powerbot you must toggle before it will charge. Once I did that, I got signs of life and it was fully charged—as indicated by the all-caps “FULL” status on the display—within a couple of hours. Setting up the Samsung SmartThings app to operate as the Powerbot’s remote was a bit problematic as well. The app is supposed to walk you through a set of straightforward steps to connect to your Wi-Fi, but it kicked me out a half-dozen times during the process. Eventually, persistence paid off and I was able to complete the set up. The Powerbot R0765 looks more like a robot than most robot vacuums. Spot Clean: You can direct the Powerbot to a particularly dirty spot and activate an intense localized cleaning. You can also choose from four suction levels: Quiet, Normal, and Turbo. In Automatic mode, the Powerbot took a methodical path through my downstairs area, cutting straight up-and-down and side-to-side swaths across the open areas of carpet. Its onboard digital camera and nine smart sensors allowed it to navigate pretty successfully around chair and table legs, but it had a little trouble with random objects cluttering the floor. It tried to plow right through a massage roller, pushing it across the floor until it rolled out of its way. And when it encountered a pair of my kid’s shoes, it gamely tried to roll up and over them for several seconds before backing off and continuing with its cleaning. 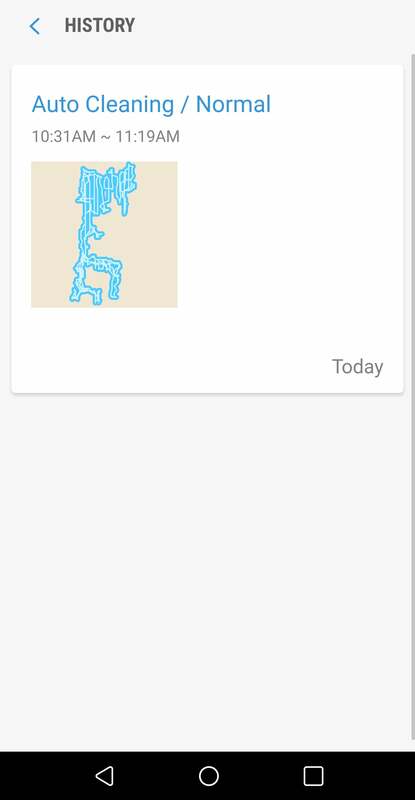 Mercifully, it did not try this when encountering feet. Transitioning from the living-room carpet to the entryway hardwood occasionally gave it a bit of trouble as one of its two driving wheels got stuck on the lip between the two surfaces. It worked itself out of this jam, too, without any help from me. The Powerbot R7065 can clean automatically or you can direct it manually. I found Manual mode was better when I wanted a quick cleaning and didn’t have time to declutter the floor first. The Powerbot instantly responded to the directional controls, and I saved time lost when it tried to figure out what to do with the obstacles it encountered in Automatic mode. 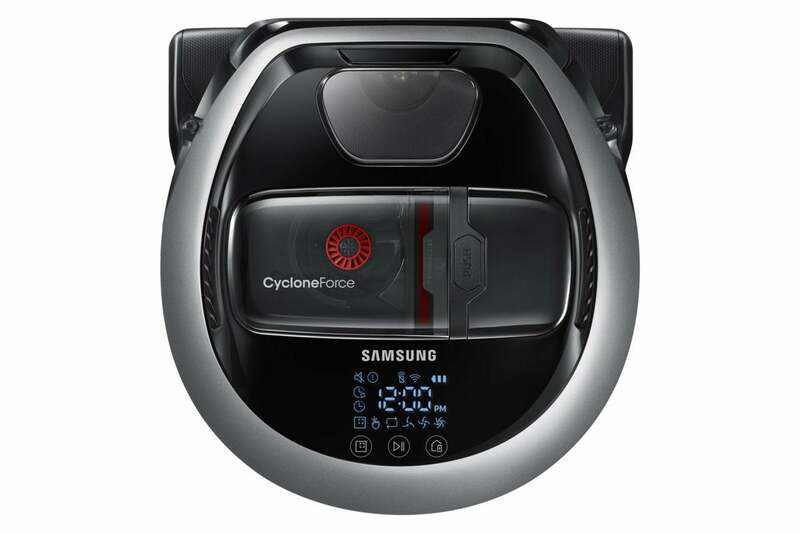 At 3.8 inches high, the R7065 is a little taller than most of the robot vacs we reviewed, so it couldn’t get all the way under my low-clearance couch, and I was concerned if it did, it would get stuck. Samsung includes a coil of magnetic boundary tape you can spread over these and other forbidden areas to keep the Powerbot out. It’s not as elegant as the Roomba 960’s virtual wall barrier, but it works. After each cleaning cycle, I was amazed at what a fantastic job the R7065 did. Every floor surface was immaculate, and that’s no small feat given how much pet hair regularly gets woven into my carpet and the amount of outdoor debris that gets swept into the entry way with my kids’ constant entrances and exits. The extendable shutter it uses instead of a spinning brush to grab debris in corners and along baseboards was particularly effective. The app doesn’t alert you when the dustbin is full—I never got one, anyway—but it’s transparent, so you can see when it needs emptying. It pops out easily from the top, but requires you to separate the dust receptacle from its enclosure, a process that can send the contents wafting through the air if performed with too much force. The Powerbot's maps aren't as large or detailed as some other robot vacuums'. The app provides a skeletal history of each cleaning—just its date and duration, along with a tiny map of the path it took. Unlike with the Roomba 960, there are no cumulative cleaning stats, and it doesn’t estimate the square footage of the area cleaned. The app does track the service life of your brushes and filter, so you know when they're due for replacement. The Powerbot R7065 is an excellent mid-priced robot vacuum. Judged on cleaning alone, it gets top marks; it consistently left all floor surfaces debris free. 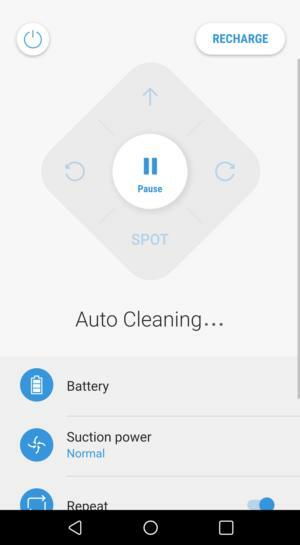 It didn’t navigate obstacles as smoothly as the Roomba 960, but it gets points for being able to work itself out of jams without any human intervention. It’s also one of the louder robot vacuums we tested—you can hear it in other rooms even on the Quiet setting—but it’s worth the tradeoff for the amount of dirt suction you’re getting. On balance, it’s the best robot vacuum we’ve tested outside of the iRobot Roomba 960 and the Neato Botvac D7.